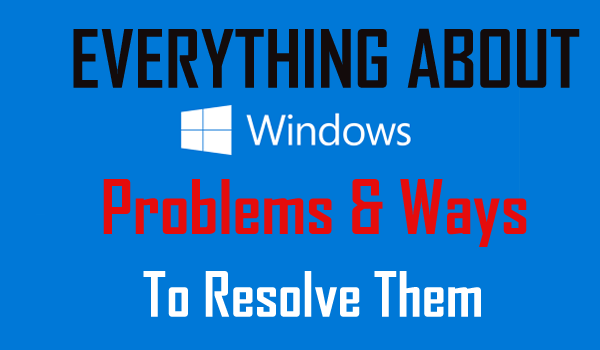 Have you ever been annoyed with your Windows system and its related issues & errors…? I am sure you had problems with your temperamental PC being unstable with its performance. Pop up error messages, constant rebooting, blue screen of death and such happens so frequently these days. You might be frustrated to know what’s going on and how to resolve PC issues so that you don’t have to annoy every time you start your PC. However, in most of the cases, the solution or fixes to these problems are really very simple and easy to perform and you need to know how to fix Windows system before it goes worse. But before that, it is also very important to know what causes Windows system to malfunction so that you can eliminate the problems from the root and make your PC error free forever. We all know what Windows operating system is and it doesn’t come with individual software packages. Some of them are used to manage hardware interactions; some to deal with system processes while others to manage different programs and utilities. Note: Don’t confuse these stuff with hardware components, as a system component is similar to a computer program, but it is not something an end-user directly interacts with while using a computer. At any point of time, if your computer develops a faulty operating system component, it starts to malfunction with signs such as freezing, failing to boot properly and so on. Diagnosing such problems can be tricky, as you don’t have an idea which component of the operating system is causing the issue. Things become worse when there are so many versions of the same operating system (Windows XP, Vista, 7, 8, and 10) available. In spite of these variations, there are few components which are common among them all, namely the ‘Kernel’, the ‘Shell’ and the ‘file system’. Let’s find out what their roles are and how they cause Windows system to malfunction. Definition: It is known to be the heart of the operating system that acts as a bridge between your computer programs and the processing of data that is done by the computer’s hardware. Role: It handles all the low-level computer functions and without it, your PC can’t even perform its basic functions. It is responsible for managing system resources and communication between hardware and software components. It may ask you to reinstall Windows system again and again. As Kernel gets corrupted Windows fail to load. Windows may fail to install updates and so on. In addition to that, you may also encounter various error messages including – data corruption, memory corruption, Kernel Security Check Errors and so on. Now let’s talk about the second crucial component of Windows system i.e. SHELL. Definition: It is known as the graphical user interface (GUI) of the PC such as your desktop, various desktop icons, taskbar, system tray and so on. You can consider it as the face of your Windows system. Role: It makes all the files and programs in the system user-friendly by using easy to identify icons, menus, pop-ups and others that you can access with just click of a mouse. We all depend on it to operate our system properly. If it gets faulty or unresponsive: Since it is the component using which we interact with our Windows system, without it, it will be difficult if not impossible to operate the computer. For an instance, suppose you click on a folder to open it and it refuses to do so, weird isn’t it. This is the last and one of the most important as well as a popular component of the Windows system; the ‘File System’. Every Windows operating system depends on some kind of file system, whether it is NTFS, FAT or any other. Definition: It is the component which is responsible for storing, writing, accessing and deleting the files of your computer system. Different Window systems have their own file systems but more or less they have similarities in their designs and the way they access the files within the operating system. Role: It is the way or you can say a manner in which you store the data on your PC’s hard drives and a method to access them in future. It carries out all the activities related to it for the smooth functioning of the system. If it gets faulty or unresponsive: Unlike other two components of the Windows system as discussed above, this component is more prone to damage or corruption. You can face two kinds of issues related to this, namely physical damage and the logical damage. In a case of physical damage, the hard disk of your computer becomes damaged and thus faulty and replacing it is the only option to resolve the issue. On the other hand, corruption in the file system is the logical damage. If it happens then it will be impossible to access the computer files. And in such cases, reinstalling the file system by restoring or replacing the specific Windows operating system files is the only option to avoid Windows system to malfunction. Apart from that to run the Windows operating system two main types of software are required. System Software – This is designed to manage and work with computer hardware. The system software is the interface between the hardware and user applications. The OS and utility software depends on each other to function properly. Some of the system software is directly used by the users whereas some works in the background. This allows the users to interact straightly with hardware functionality such as the Device Manager and many other utilities found in the Control Panel. System software includes the software like OS, Firmware, BIOS, Device Drivers and much more. This is very helpful for the users, but also gets corrupted. And due to this users start facing various issues in the Windows Operating system. This is least prone to corruption and due to the application software installed by the users gets corrupted in many cases. Application Software: This is designed to perform any task for the benefit of the user. The Abbreviation of Application software is “Apps” that are also known as productivity programs or end-user programs. As they enable the user to complete tasks like creating documents, spreadsheets, databases & publications, performing online research, sending email, graphics designing, running businesses and also playing games. This is very helpful for the users to perform certain tasks and makes the work easy for them. But is highly prone to corruption. And due to this user start facing various errors like driver’s error, DLL error or EXE error, registry error and BSOD error. Driver Error – Driver or device driver is a group of files that allows one or more hardware devices to communicate with the computer’s OS. A driver plays a very vital role for a system to function properly. Without drivers, the system would not be able to send and receive data correctly to hardware devices like Printer, Audio and much more. Corruption: In many cases, it is found that device drivers get corrupted. The corrupt driver simply becomes useless or inoperable. The device becomes inaccessible when drivers get corrupted. So, to fix a corrupt driver this is highly important to detect the corrupted driver and prevent the system from malfunctioning. Fixes: When a driver gets corrupted, missing or damaged it start showing various errors. To detect the faulty drivers, make use of the Driver Verifier Manager or Device Manager. To detect the corrupted drivers, these are an inbuilt tool and help the users to fix drivers issues. To resolve driver corruption you can install the latest driver or update the driver from the manufacturer website or Microsoft Official Site. 2. DLL Error: DLL is a Dynamic Link Library is a collection of small programs, any of them can be called when required by a larger program running on the computer. This is a file format utilized for maintaining multiples codes and procedures for Windows programs. This enables the user to edit coding of multiple applications, without modifying the applications themselves. Due to various reasons like installing and uninstalling new software, virus/malware, hardware failure and many others, this gets corrupted. Corruption: In many cases, the DLL files get corrupted and start showing various DLL related errors such as Xinput1_3.dll, Ntdll.dll, Wmvcore.dll error, WSClient.dll etc. When the DLL files corruption can cause the system crash, freezing issues and also the operating system fails to perform certain actions. Here know how to resolve DLL error. Fixes: To fix DLL error there are many tools available online. You can make use of the System File Checker Tool. This is a Microsoft inbuilt tool that will help you to scan and fix DLL files. 3. Registry Error: The registry is an effective huge internal database that contains important, system specific information regarding almost everything in the system. This is the INDEX page of the operating system. And the Windows OS always refers to the registry to perform any task operated by the user. The registry entries of the Windows system are very crucial. To open a program, install new software and changing hardware all needs Windows to refer to the information contained in the registry. This is very important for the Windows system to perform any task. The unexpected system shutdown, malware or viruses, fragmented registry, duplicate keys and orphaned entries etc. are the various unpleasant reasons behind the registry corruption. Corruption: The registry is very crucial entries of the Windows operating system. …and as a result, the user starts facing problems like system crash and stop working altogether. The registry corruption also causes DLL error and BSOD error too. Fixes: To repair the corrupted, damaged registry entries you can run the Windows Registry Checker Tool (Scanreg.exe). This is the inbuilt tool that will scan detect and restore previous day’s backup to repair registry issues. However manually manipulating the registry entries is quite risky as this corrupts the entire Windows system files. So it is recommended if you are novice user then, in this case, make use of the Automatic Registry Repair tool. Scan your Windows Operating system with the Windows Repair Tool, the professional recommended solution. This tool is designed with the advanced algorithm and is able to repair most computer errors. It also protects you from file loss, malware, hardware failure and optimizes your PC for maximum performance. 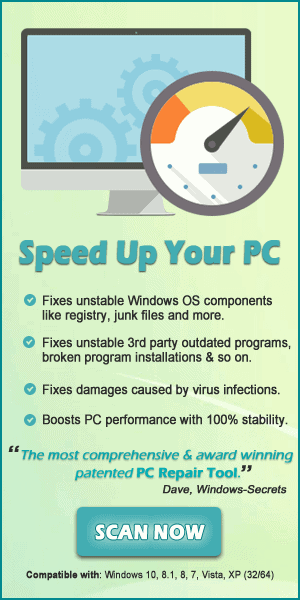 Quickly fix PC problems like BSOD, DLL error, Registry issues, drivers issues, application error and many others. Here in this article know the complete information about Windows problems, related issues and ways to fix them.